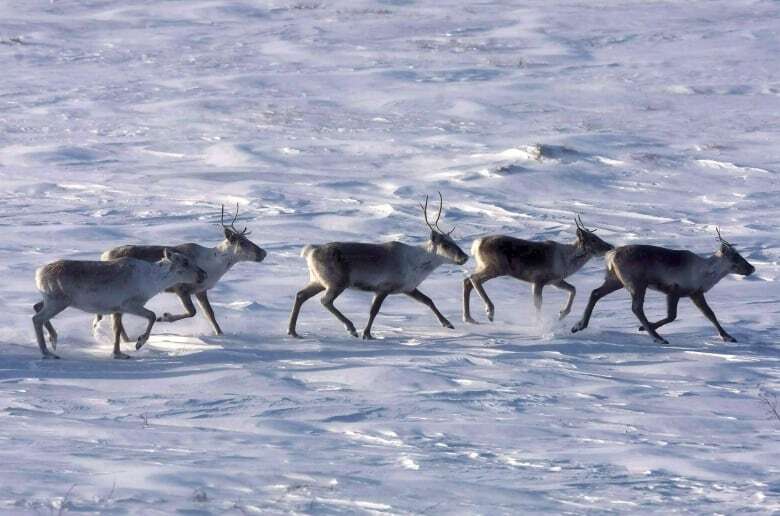 The Canadian government, two territories and several First Nations are expressing concerns to the United States over plans to open the calving grounds of a large cross-border caribou herd to energy drilling, despite international agreements to protect it. "Canada is concerned about the potential transboundary impacts of oil and gas exploration and development planned for the Arctic National Wildlife Refuge Coastal Plain," says a letter from Environment Canada to the Alaska office of the U.S. Bureau of Land Management. Yukon and the Northwest Territories have submitted similar concerns as the administration of U.S. President Donald Trump drafts plans to study the environmental impact of selling exploration leases on the ecologically rich plain. "Much of the wildlife that inhabits the ... refuge is shared with Canada," says the N.W.T. 's letter to the U.S..
"The conservation of these transboundary shared resources is very important to Indigenous groups." The Porcupine herd is one of the few remaining healthy caribou populations in the North and a crucial resource for Indigenous people. 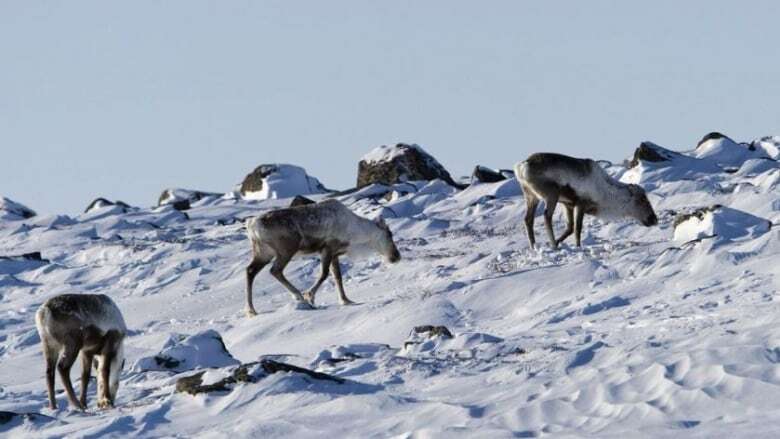 Canada says the caribou are covered by one of four different international agreements — including two over polar bears and one for migratory birds — that commit the U.S. to preserve the area. At least three diplomatic notes have passed between the two countries over the issue. Canada wants assurances from the U.S. about the content of the environmental study. The N.W.T. is asking that hearings be held in Canadian Indigenous communities that depend on the herd. It'll be tough, said Bobbi Jo Greenland-Morgan, head of the Gwich'in Tribal Council. "We're not dealing with the same government we've been dealing with for the past 30 years," she said. In December, the U.S. released a draft environmental impact study proposal for the lease sale with a public comment period until Feb.11. The stakes are high for the narrow strip of land along the central Alaskan coast. The Porcupine herd numbers 218,000 and is growing. Greenland-Morgan said the animals are a regular source of food for her people. "We probably have [caribou] at least once or twice a week." Adult caribou can co-exist with development, but scientists have shown they avoid any disturbance on their calving grounds. 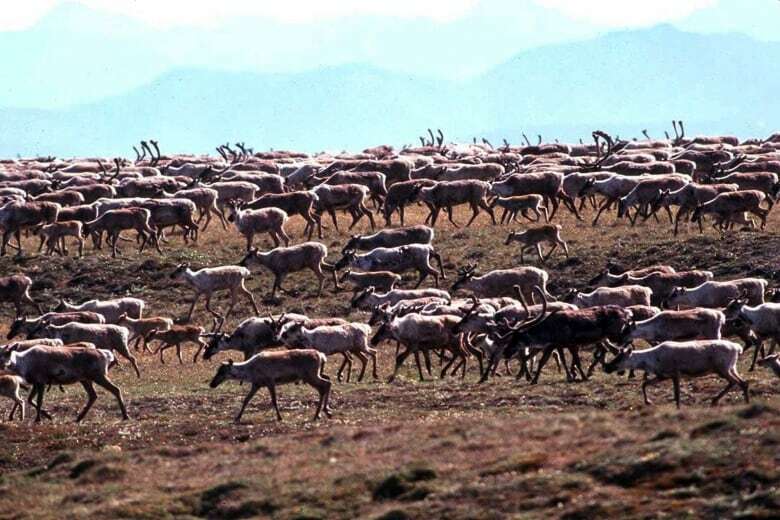 "Canada is particularly concerned that oil and gas exploration and development will negatively affect the long-term reproductive success of the Porcupine caribou herd," says the federal letter. The U.S. is aware of that possibility. "Potential impacts, particularly those relating to changes in calving distribution and calf survival, are expected to be more intense for the [Porcupine herd] because of their lack of previous exposure to oil field development," says the draft plan. It also points out the herd's importance to Canadian First Nations and acknowledges they take about 85 per cent of the annual harvest. "These Canadian communities would be among the most likely to experience potential indirect impacts." Craig Machtans of the Canadian Wildlife Service represents Canada on an international committee that manages the Porcupine herd. He said he has a good relationship with his counterpart in Alaska. "He does keep me informed," Machtans said. But the ties aren't what they were. The U.S. representative used to come from the U.S. Fish and Wildlife Service. The current member is from the Department of the Interior. "He has a different mandate," said Machtans. "I'm not sure it's the same relationship." Officials at Global Affairs Canada say the U.S. is living up to the agreement on the Porcupine herd. American officials were not available for comment due to a partial government shutdown in that country. Machtans said Canada has no special status as the U.S. considers public input on the draft. "We're not in the inner circle," he said. "We're participating as members of the public." International law professor Michael Byers said the U.S. may have already broken a clause in the agreement that commits both parties to consulting the other before a final decision is made on anything that affects the herd's future. "There's an obligation to consult that isn't being implemented right now," Byers said. He noted that the U.S. has already said it intends to sell the leases this year. Greenland-Morgan said her people have been fighting for decades to keep the Porcupine calving grounds free of development — but this time feels different. "We've always had to do this," she said. "But with the Trump administration, it's been more challenging."